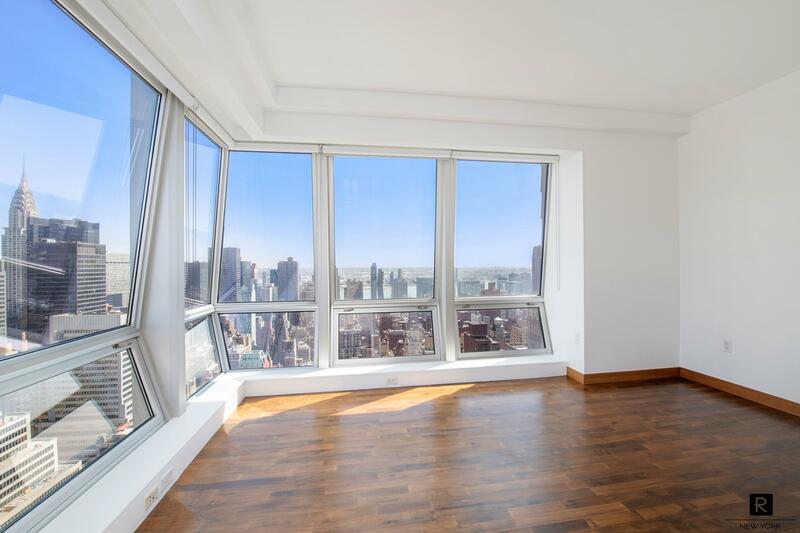 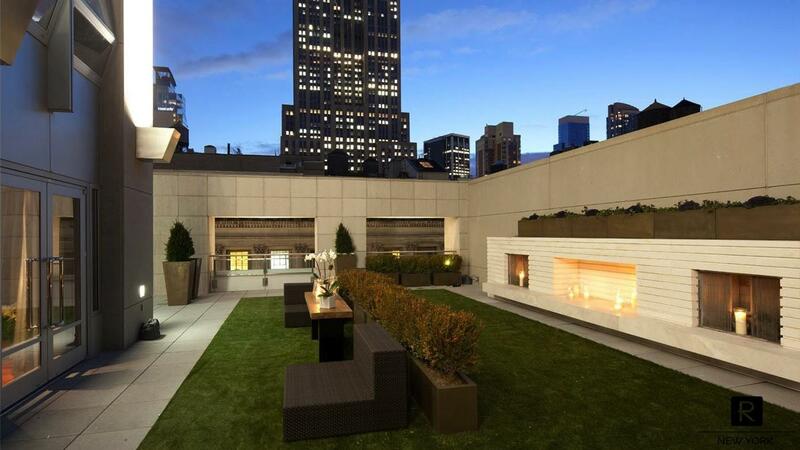 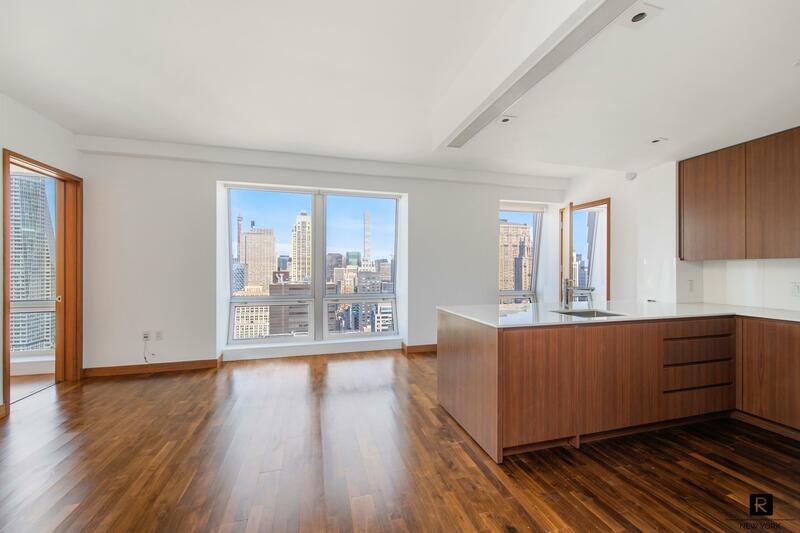 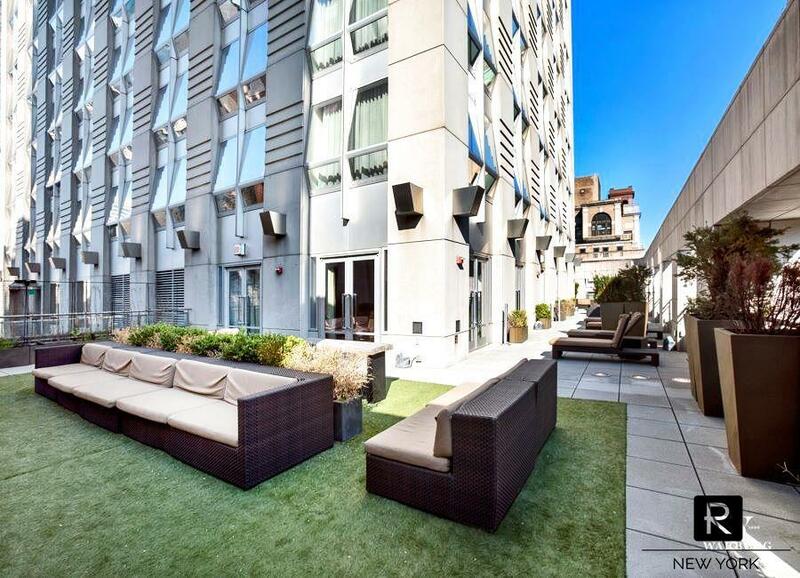 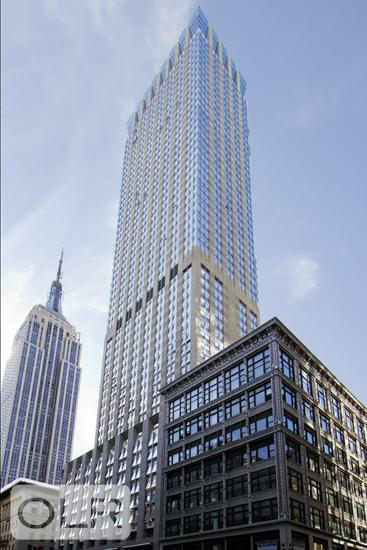 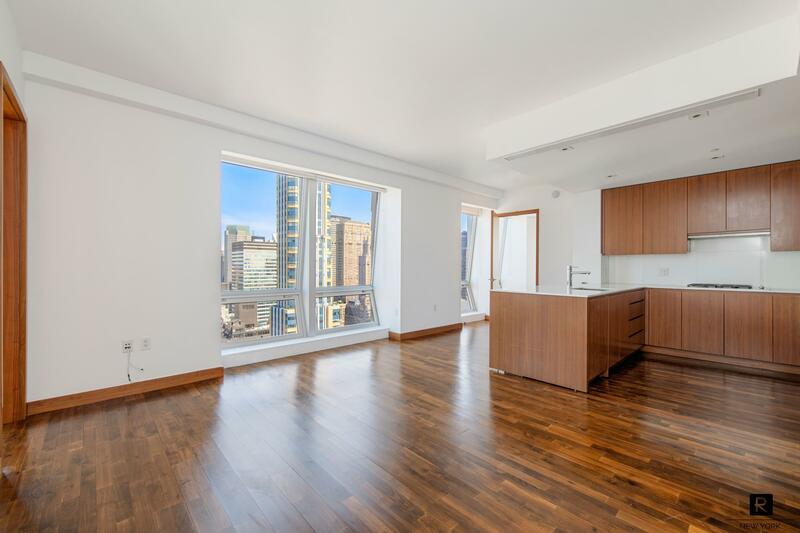 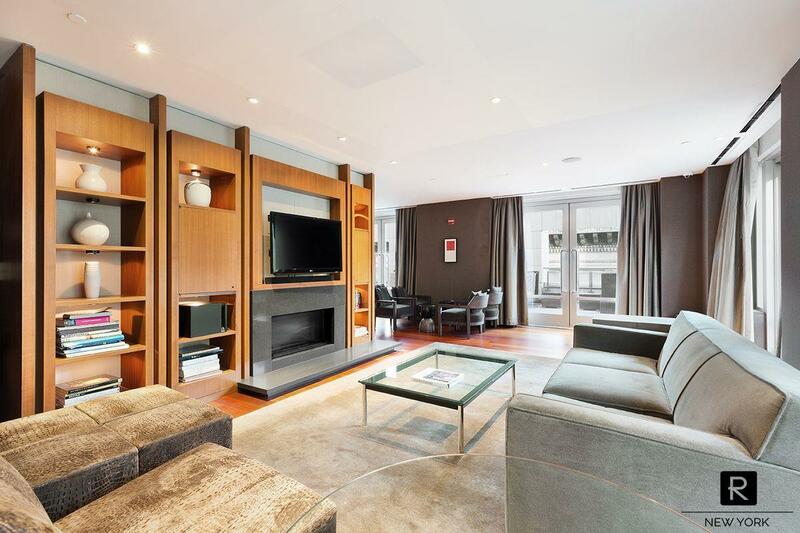 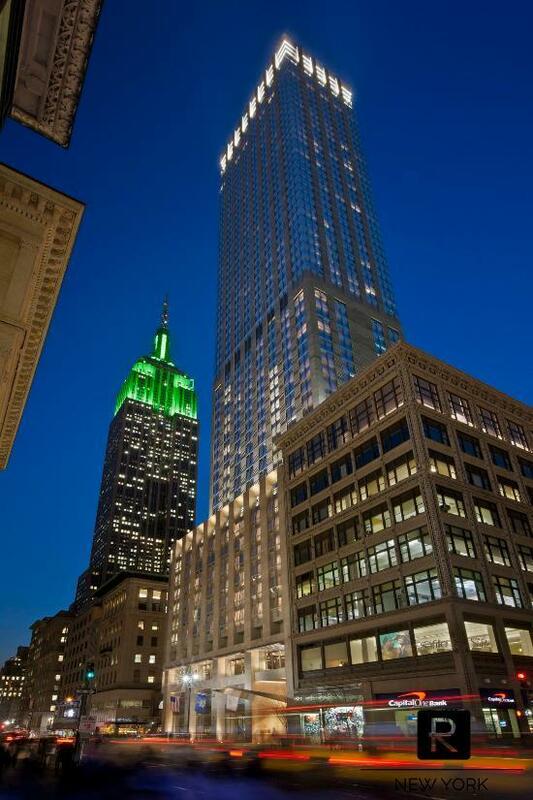 Stunning Split 2 bedroom 2.5 bath layout with open kitchen and views located on Fifth Avenue, Heart of New York City. 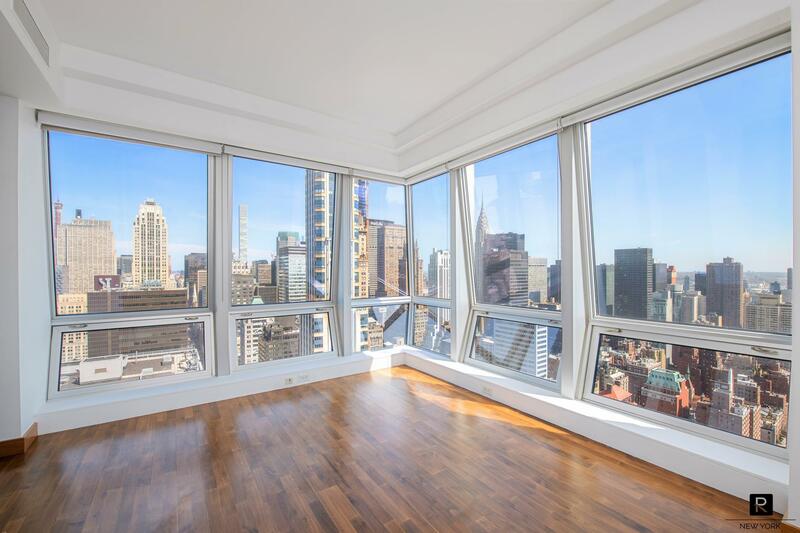 This apartment atop of a five-star hotel with 180-degree views of Hudson River, East River, and Chrysler building from its uniquely designed diamond angled windows. 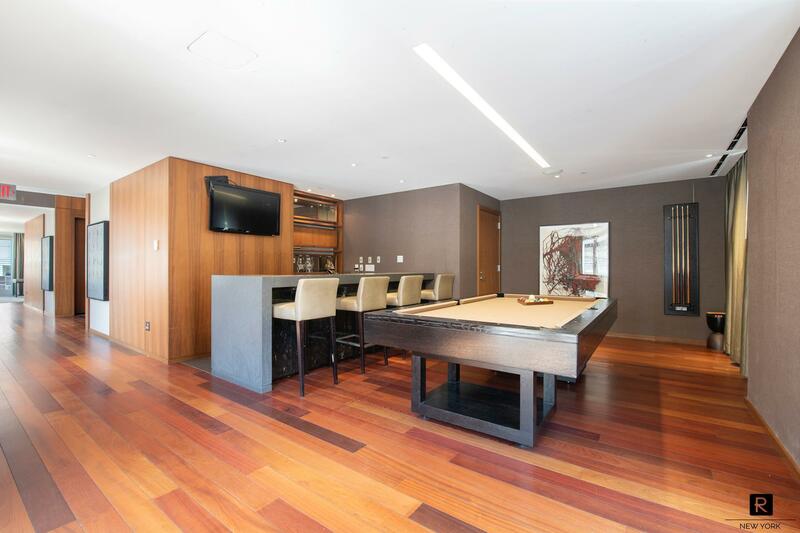 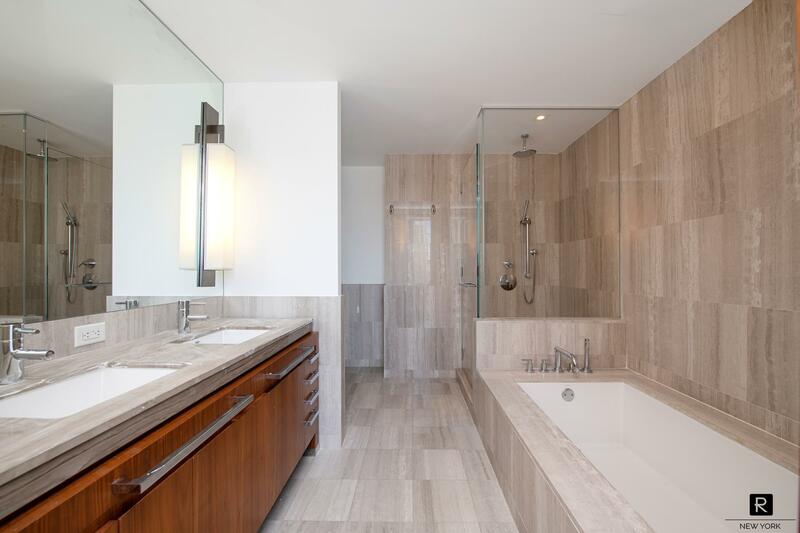 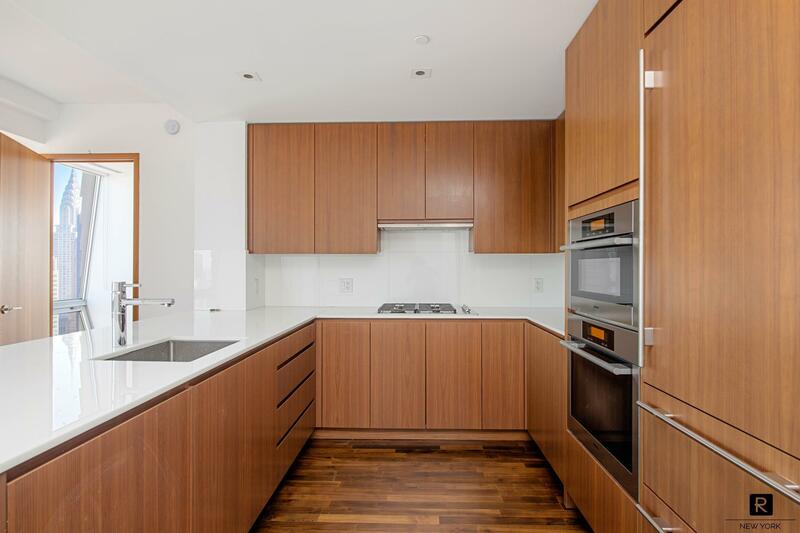 The unit features Custom Italian Poilform Kitchen with Miele and Subzero appliances, Bathrooms with Deep Zuma Immersion Tubs and Luxe Black Oak and Haisa Marble flooring, Washer & Dryer in the unit. 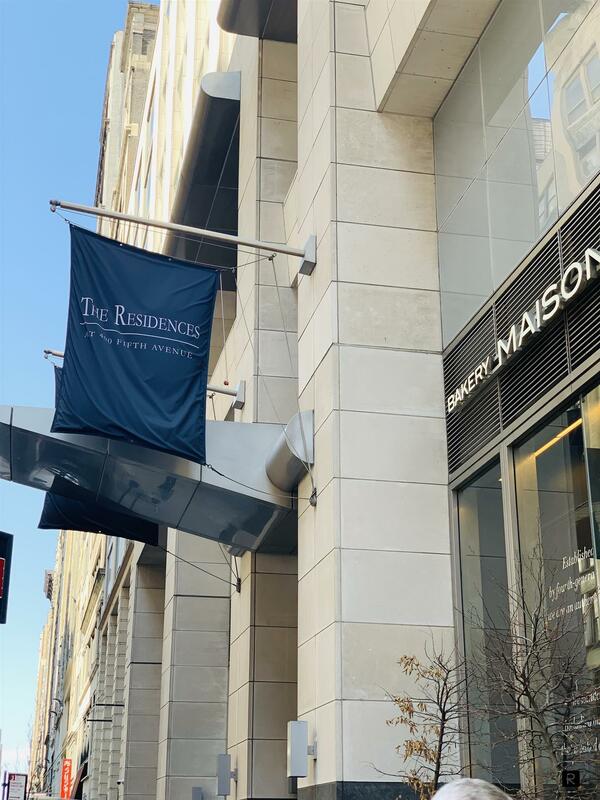 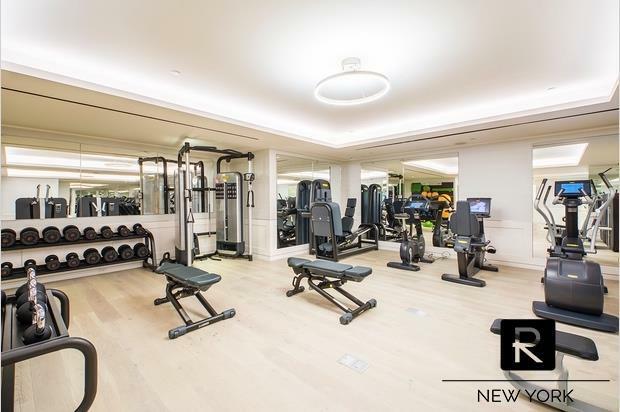 Residents here enjoy 24-hour doorman and concierge, over 3000 SF fitness center, residential lounge with outdoor fireplaces, and Business center with private conference room. 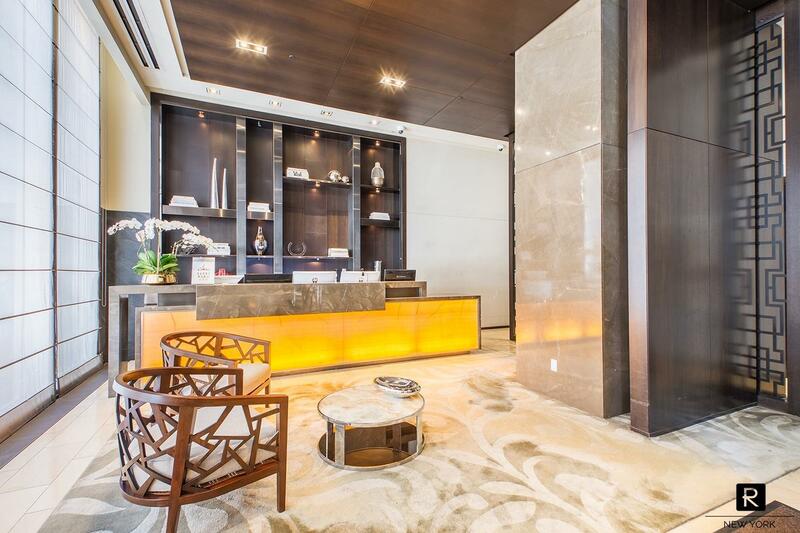 Residents can also have access to Michelin- starred restaurant on the premises, bar and room service from the hotel (with additional fee).